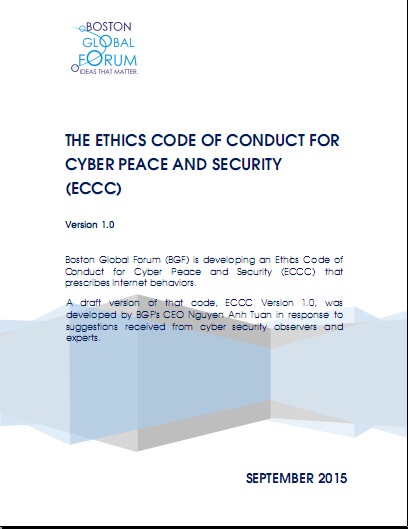 (May 23rd, 2016) Last year as part of its effort to promote cybersecurity, the Boston Global Forum issued an Ethics Code of Conduct for Cybersecurity. This year, we are concentrating on ideas/suggestions on how to put the Code of Conduct into practice. We’re inviting leading policymakers, scholars, and technology experts to write short pieces (400-600 words) with their recommendations. We will post the pieces on our website (bostonglobalforum.org) and distribute them to our international network. We would be honored if you would agree to contribute a piece as part of that effort.